Christmas is all done with, so come December 26th it's time to get those Valentine's day chocolate displays up, no time to waste! 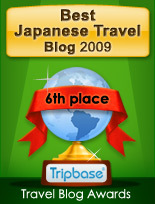 Not sure how it happened, but Valentine's day in Japan is for men. Not only are woman expected to give expensive chocolate to their boyfriends, they also should be getting small chocolate gifts known as 'giri' (obligation) chocolate, for every male colleague in their office. 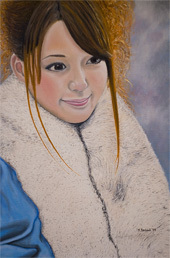 The men are supposed to reciprocate on March 14th (known as White day), but as you might expect in Japan, White day remains rather quiet and unknown. Anyway from December to February, it seems like every single store in Japan needs to have their own chocolate display. Unsurprisingly, the endless selection gives you some interesting choices. The days of square shaped chocolates are long gone. Nowadays if you want to sell your chocolates, the gimmick factor needs to be high. 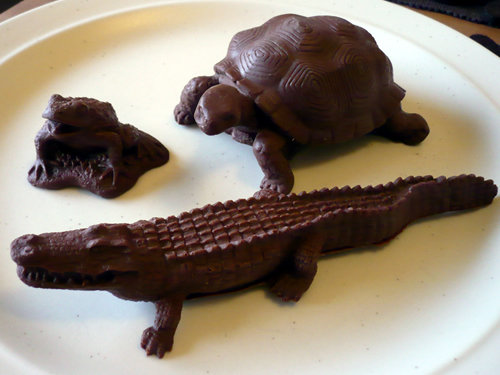 Making animals out of chcolate might not be a new idea, but what about carving artistic animal sculptures from it? Here's a group photo of the three I liked the best. A cane toad, a galapagos tortise, and a crocodile. There was also a chimpanze, a gorilla a polar bear (white chocolate) an owl, and a few others I can't remember. I wanted to buy more, but as you can imagine they weren't cheap. To give you an idea of the size, the plate they're on is a large dinner plate. The crocodile is as long as my hand. Apparently these animals were all discovered by 'Dr. Shocolai'. 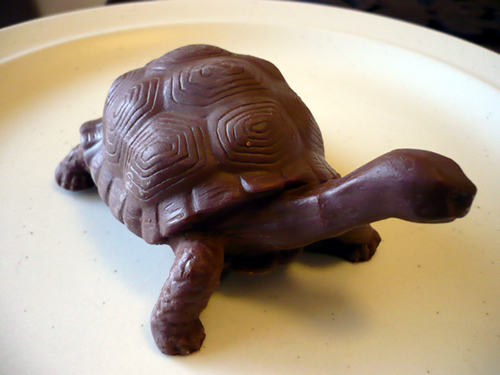 You know, that famous zoologist who discovers animals and keeps track of his discoveries by sculpting them out of chocolate. 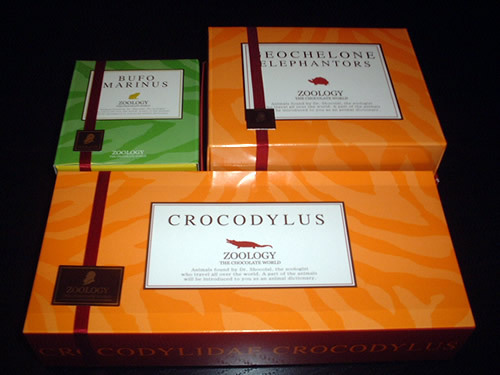 Isn't it an amazing coincidence that his last name 'shocolai' even sounds like 'chocolate'? 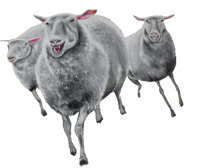 We are also taught the latin name of each animal to help whet our appetites. Unfortunately 'elephantors' is incorrect. 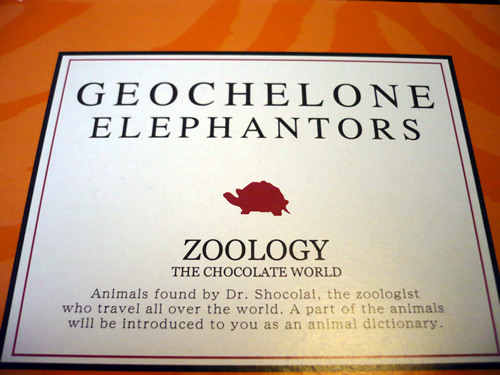 It should be 'elephantopus'. I guess Dr. Shocolai failed latin. 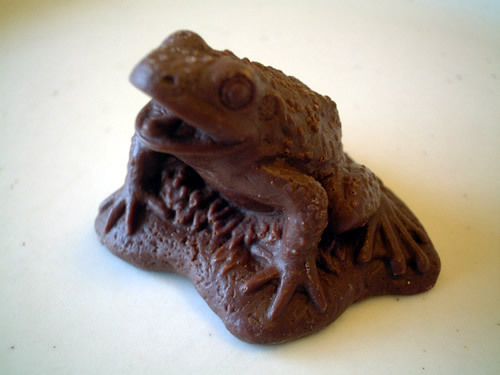 The French might eat chocolate ants, but here in Japan we eat chocolate toads. Never mind that cane toads (bufo marinus) have extremely toxic poison glands in their skin. This would be a great way for people with frog phobias to overcome their fear, just bite its head off. Nice attention to detail right down to the warts. Saved this one to the end, but it turned out to be hollow! Grrrr... Still a large chunk of chocolate though. Did you know that the average life expectancy in captivity for the galapagos tortise is 200 years? No fair!! Reduce that life expectancy by biting its head off. 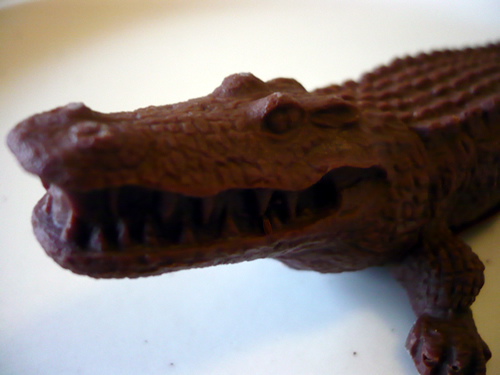 Haven't you ever wanted to bite a crocodile's head off? Goodness knows they do it to us often enough in real life. Check out the attention to detail right down to the individual scales! Delicious. I know, I know. I broke the rules. I bought chocolates for myself before Valentine's, and I already ate them. I'll admit some of the girls in the shop gave me funny looks, sort of a 'hey you greedy pig, your girlfriend is supposed to buy those, and if you don't have a girlfriend well then you're just out of luck', kind of glance. Anyway if any female fans are wondering, I'd like the chimpanze and gorilla next. I've always wanted to bite the head off a monkey.